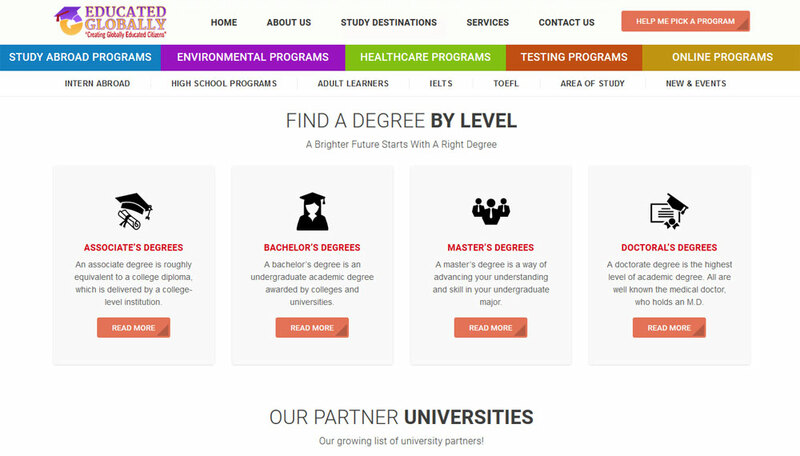 Educated Globally an organization devoted & dedicated to “Creating Globally Educated Citizens. “Today’s global village requires globally-sensitive citizens. One can become global citizens by being “EDUCATED GLOBALLY”!. The Educated Globally Study Abroad vertical has been designed to provide information, resources and assistance for those students who are interested to further their education & career by studying abroad.